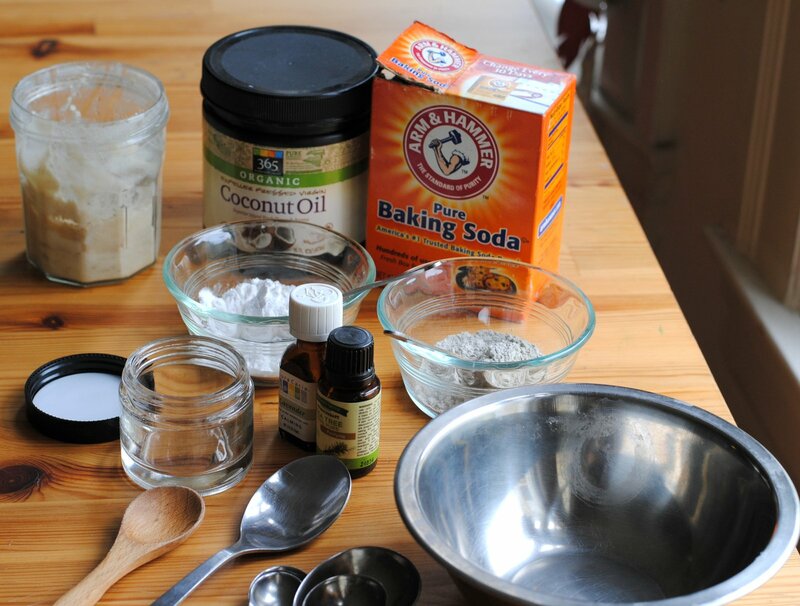 Did you know you can make your own deodorant? It’s not difficult, and you can save money over buying pricey natural deodorants. Best of all, you can mix and match essential oils to create a scent that you really love (or make it unscented). Whether you have sensitive skin or you’re just picky about body care products, making your own natural deodorant is a fun and easy DIY project you can complete in under an hour. Most of the ingredients listed below are available in the bulk purchase area of natural food stores or co-ops, as well as online. There are a few ingredients below that can be swapped out, though doing so may slightly change the color, texture, or scent of your deodorant. The recipe listed below makes one batch of deodorant – simply double or triple the recipe to make a larger batch, create different scents, or to share. Measure out one tablespoon of coconut oil and, if it is hardened, mash it in the mixing bowl. 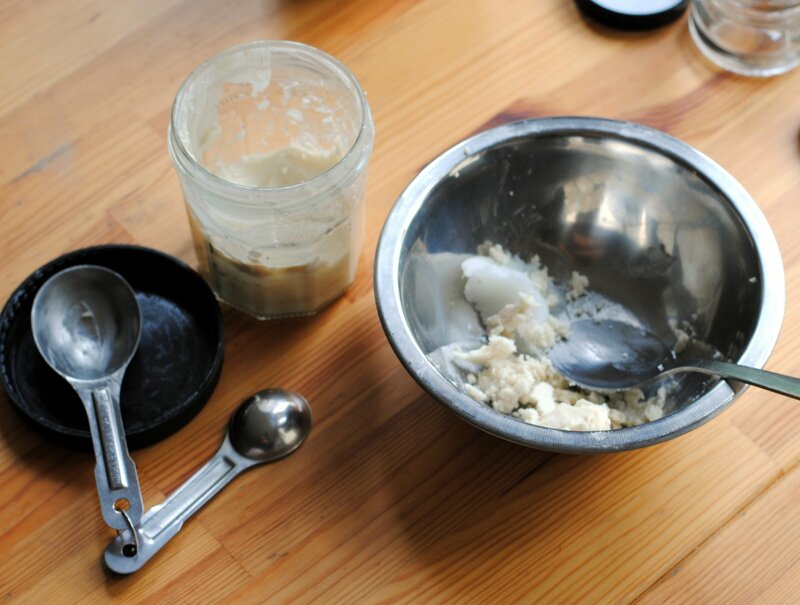 Measure one tablespoon of room-temperature shea butter into the bowl and mix it well with the coconut oil. You may substitute room-temperature cocoa butter as well, but it will have a stronger scent. Shea and cocoa butters are a bit harder than coconut oil at room temperature and will help stabilize the deodorant mixture. 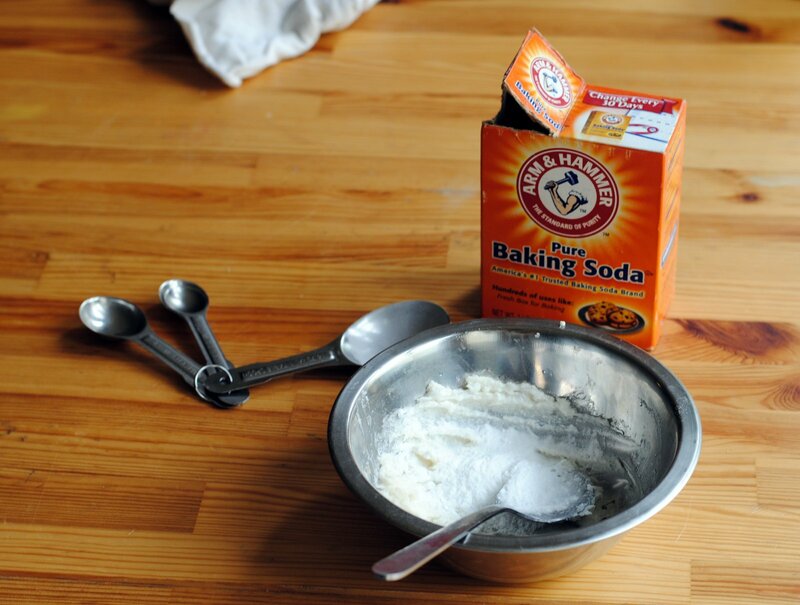 Measure out and add one tablespoon of baking soda. Measure out and add one tablespoon of arrowroot starch. This rather unusual ingredient can be found in some larger natural food stores or bulk co-ops, as well as online. If you can’t find any, you can also substitute cornstarch, though its absorptive properties may be slightly lower. 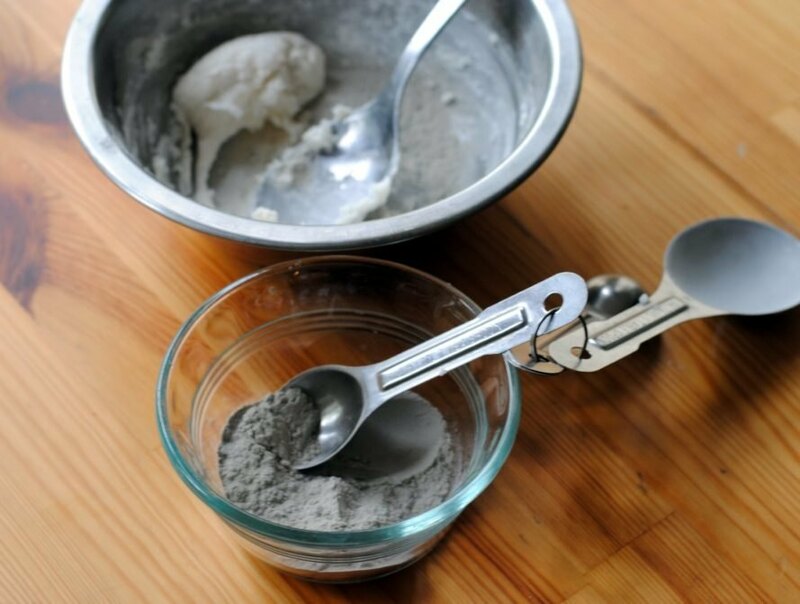 Measure out and add one teaspoon of finely ground cosmetic clay (bentonite or kaolin – found in the bulk or body care section of a natural foods market). Thoroughly mix the deodorant into a thick paste, making sure there are no lumps. Add six drops of your favorite essential oil. We used a blend of 3 drops of tea tree oil for its antibacterial properties and astringent odor, in addition to 3 drops of lavender oil for its soothing aroma. Use a spoon or butter knife to scrape the deodorant into a small jar or other container. You can leave it at room temperature in your bathroom. To apply, simply swipe two or three fingers across the surface of the deodorant and gently rub it into your armpits after a shower. You can put some into a smaller container for travel as well. If you’ve been using commercial aluminum deodorants, you may notice more wetness, but give it a week for your body to adjust. The essential oil blend serves as a deodorant, and the baking soda, arrowroot starch, and clay serve to prevent and absorb perspiration. 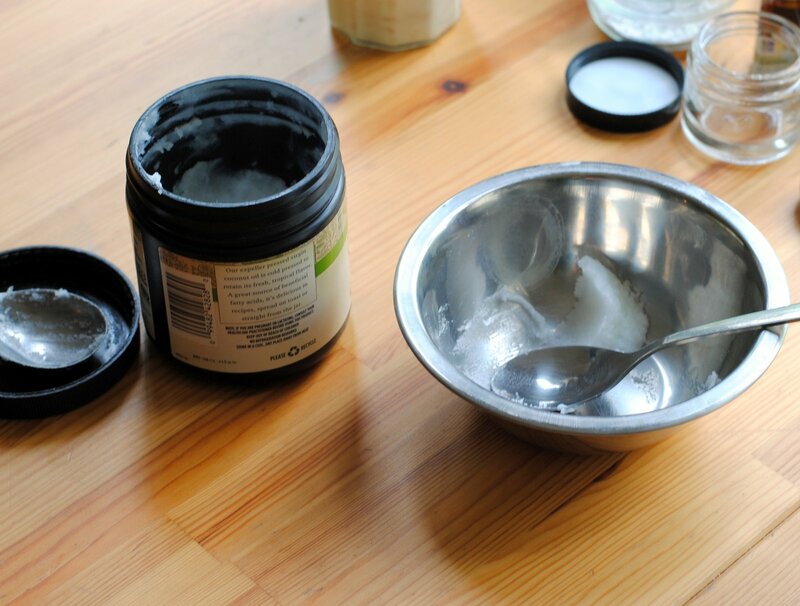 Did you know you can make your own deodorant? It's not difficult, and you can save money over buying other pricey natural deodorants. Best of all, you can mix and match essential oils to create a scent that you really love (or make it unscented). Whether you have sensitive skin or you're just picky about body care products, making your own natural deodorant is a fun and easy DIY project you can complete in under an hour. 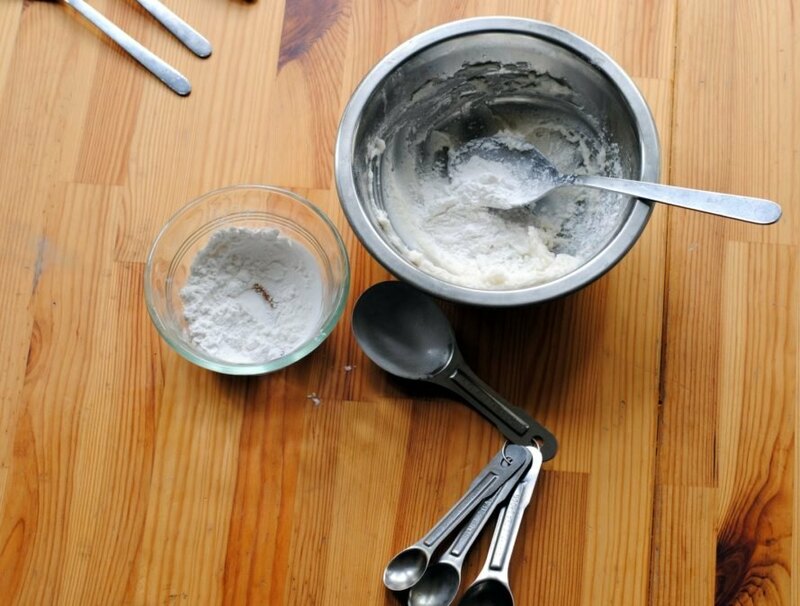 Measure out and add one tablespoon of arrowroot starch. This rather unusual ingredient can be found in some larger natural food stores or bulk co-ops, as well as online. If you can't find any, you can also substitute cornstarch, though its absorptive properties may be slightly less. 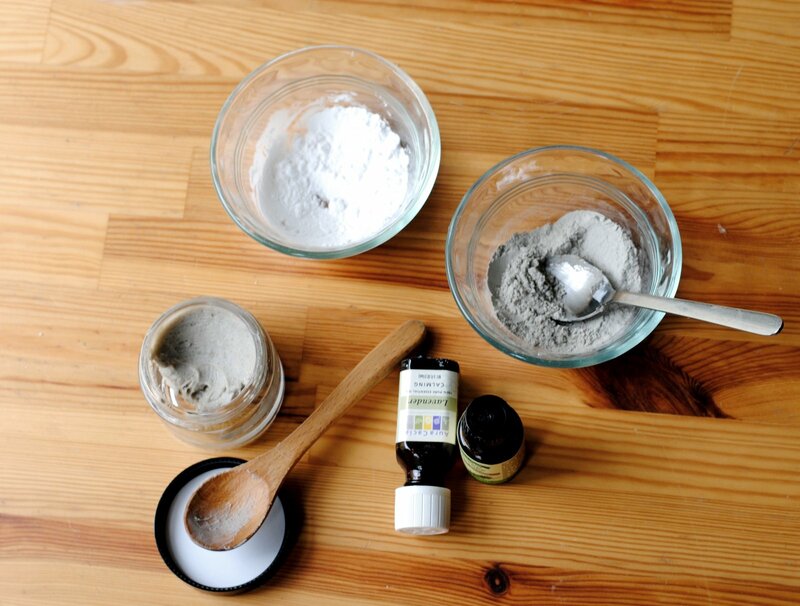 Measure out and add one teaspoon of finely ground cosmetic clay (bentonite or kaolin - found in the bulk or body care section of a natural foods market). Thoroughly mix the deodorant into a thick paste, making sure there are no lumps. 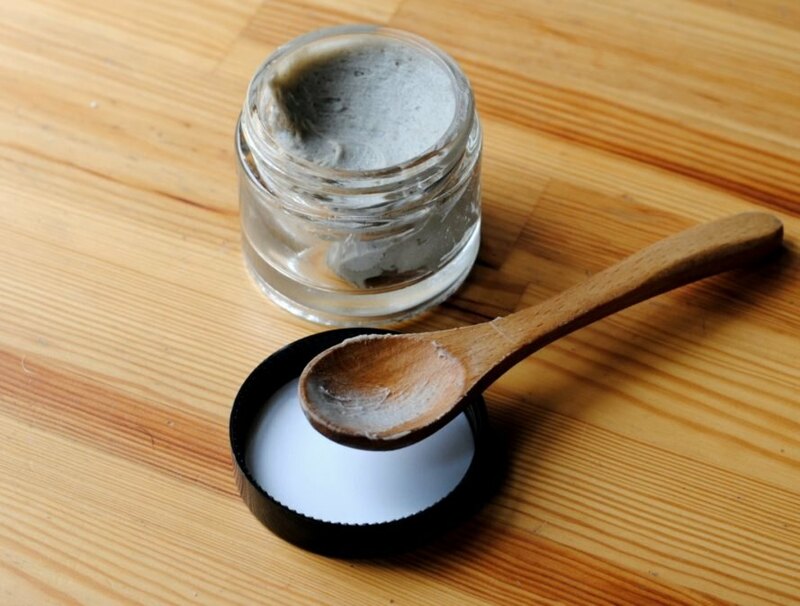 Use a spoon or butter knife to scrape the deodorant into a small jar or other container. You can leave it at room temperature in your bathroom. To apply, simply swipe two or three fingers across the surface of the deodorant and gently rub it into your armpits after a shower. You can put some into a smaller container for travel as well. If you've been using commercial aluminum deodorants, you may notice more wetness, but give it a week for your body to adjust. The essential oil blend serves as a deodorant, and the baking soda, arrowroot starch, and clay serve to prevent and absorb perspiration. 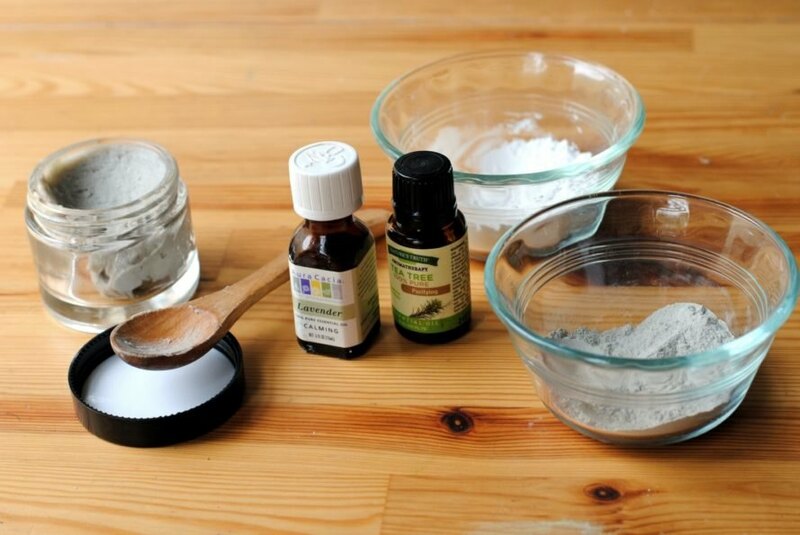 Did you know you can make your own deodorant? It's not difficult, and you can save money over buying pricey natural deodorants. Best of all, you can mix and match essential oils to create a scent that you really love (or make it unscented). Whether you have sensitive skin or you're just picky about body care products, making your own natural deodorant is a fun and easy DIY project you can complete in under an hour.